Come take a look at the quaint neighborhood of townhomes in Aspen Woods. These properties are rarely available and when they are they don~t last long, so don~t wait to take a look at this gem. 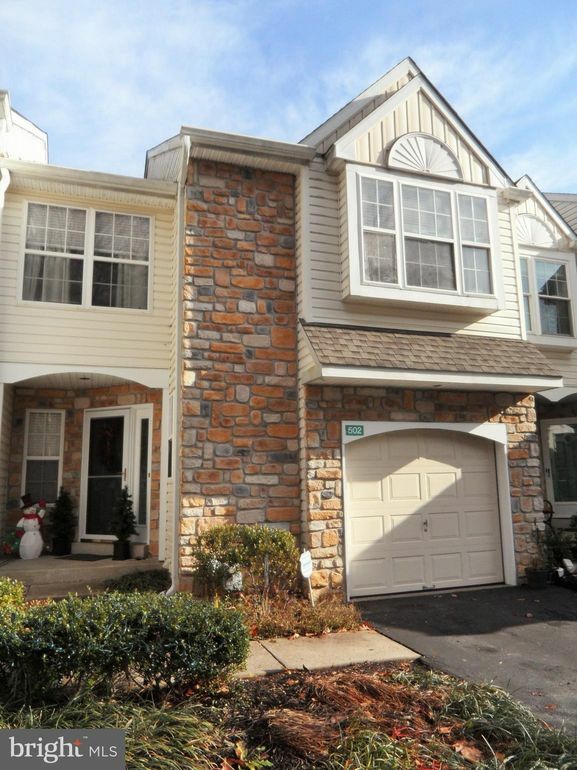 Located in the heart of Lower Makefield Township and in the award winning Pennsbury School District, this 3 bedroom, 2.5 bathroom townhome is waiting for new owners. The main level offers a new updated half bath, elegant dining room with hardwood flooring, crown molding and chair rail. Just off the dining room you will find the kitchen equipped with modern tile floors, stainless steel appliances, wood cabinets and lots of cabinet and counter space. Don~t worry, you won~t be left out of the household gatherings with the cozy recreation room just steps away. Enjoy the chilly winter nights nestled in front of the gas burning fireplace. In the recreation room be sure to notice the door that takes you outback to the paver patio, which is great for grilling out, or just spending a nice spring evening having your favorite beverage at your patio table. Your options are endless with this set up. The basement has been finished which provides for an additional living area to watch a movie, a great playroom for the smaller ones or maybe a home office. The upper level has 3 bedrooms which includes a spacious master with en-suite bathroom that offers a large soaking tub. The 2 other bedrooms have ample closet space and share a nice sized bathroom. The location of this property is across from a protected wooded area which provides great views and additional privacy. Aspen Woods is a maintenance free community that includes perks like having a community pool and tennis courts and they are all walking distance for you. Call today to schedule your private tour of this property before it is too late.